The ingredients of Follixin have a complex activity. They work from the inside as well as from the outside, replenishing the necessary microelements needed for creating new hair and protecting them. Follixin contains the unique Bioactiv Hair Regrowth™ Blend. It contains precious vitamins and extracts which condition hair follicles and bulbs, maintaining healthy hair from the inside. The ingredients of Follixin dietary supplement, protect strands from falling out, graying, dandruff and maintain healthy, thick and strong hair. The formula also cares for the scalp preventing seborrhoeic inflammation, dandruff and dry hair. All the ingredients are contained in the recommended daily dose. Hover the mouse to see the details. Horsetail extract prevents dandruff and hair loss. It also improves hair elasticity and vitality. The extract is a great source of easily assimilable silica, potassium, magnesium, quercetin and vitamin C.
It is called the fountain of youth. It is responsible for healthy skin, hair and nails. It has an anti-oxidant property and protects hair from free radicals. It also facilitates hair growth through boosting cell division of hair matrix. Zinc deficiency can be one of the reasons for hair loss. Zinc is an important element in the process of cell division, protein synthesis and maintaining healthy hair. It is responsible for maintaining healthy hair and skin. It effectively inhibits the production of dihydrotestosterone, the hormone responsible for androgenetic alopecia for men. It helps to fight scalp diseases, prevents dandruff and seborrhea, and slows down hair loss. It provides hair with the right amount of collagen, which makes them healthy, strong and thick. Collagen improves the condition of the scalp and prevents dry peeling skin and dandruff. It is the foundation of alpha-keratin, the main component of hair, skin and nails. It reduces hair loss and stimulates hair growth. In addition, it increases the thickness of hair shaft and strengthens hair. It facilitates the production of collagen to ensure proper functioning of the skin and scalp. It is an essential ingredient needed in the process of hair shaft formation. Its deficit causes split ends and breakage. It inhibits toxic effects of chemicals, improves blood supply and overall hair condition. It is used to treat scalp conditions such as dandruff or seborrhoea. It accelerates hair growth by exerting a beneficial effect on the biosynthesis of hair tissues and morphological elements. It is one of the ingredients which form the hair structure. It is involved in hair growth process and plays a key role in the division of hair matrix cells. Thanks to it the hair has the ability to absorb water and maintain its flexibility and elasticity. It is involved in cysteine ​​synthesis and enables the conversion of glycogen into glucose, which is important for the supply of fuel in energy-consuming processes of building the hair shaft. It also takes part in hemoglobin synthesis, which plays a key role in the transfer of oxygen, an essential ingredient of hair structure. It prevents the over-action of sebaceous glands, which participate in the process of cell and tissue regeneration and care for the scalp preventing dandruff and itching. It participates in metabolic processes which take place in the skin, nails and hair. It mainly benefits proper functioning of sebaceous glands. Its shortage causes hair loss and weakens hair. It accelerates hair growth and regenerates skin cells. It stimulates cell division of hair bulb matrix, affecting the nucleic acid replication and maturation of cell nuclei. Vitamin B12 deficiency causes hair loss. The body does not store it, so it is crucial to replenish the deficiency. Thanks to vitamin B12 hair is shiny and easy to manage and style. It determines hair colour. Its deficiency causes greying. Copper strengthens hair and hair bulbs. It also affects the number of "disulfide bridges" which combine keratin chains to provide durable and strong hair structure. It is also called a beauty vitamin. It increases hair volume and improves its overall condition. It helps maintain healthy hair. It balances sebaceous glands. It is a complex organic acid which contains sulfur. Its deficiency leads to dull, prone to breakage hair, balding, seborrhoeic dermatitis and nail splitting. Are you losing your hair? Don't wait for a miracle. The problem of hair loss touches millions of people, mainly men. Research done by the Dermatological Centre has shown that hair loss is one of the most common health problems among the patients aged 15 and 39. The new medicine, supplements and treatments for hair loss are constantly appearing on the market. They are supposed to eventually end your hair loss problems. The truth is that there is no miracle treatment when it comes to hair loss. The only reasonable solution is proper hair care and a treatment which can reverse the symptoms. However, such treatment has to be done properly and be maintained. Nowadays, among various hair loss solutions, dietary supplementation is a reliable, effective and affordable alternative. That is why it is the smartest way to deal with the problem. hair you always dreamed of! The formula of Follixin was being developed, tested and improved for many years. During that time we received many positive reviews of our product. We have chosen 3 testimonials of satisfied customers for whom Follixin was a game-changer. Thousands of people who used Follixin have achieved similar results. The results of treatment from 2 to 4 months. One day when I was getting up I saw plenty of hair on my pillow. I realized that I was really losing lots of hair. The thought was simply terrifying and I booked an appointment with a dermatologist as soon as I could. I've been taking Follixin for 2 months now and the difference is huge. My hair practically stopped falling out. That is a great relief. Follixin is just perfect for me. I wanted to get rid of my hair loss problem so no one would know that I was using some product. Hair transplant or medication causing side effects were out of the question. After 4 months of taking Follixin I noticed my hair strands became stronger and I simply had more hair. The results of treatment from 6 to 9 months. When I noticed I started going bald, my self-esteem was really low and I got depressed. Follixin solved all my problems: my hair stopped falling out and new hair started to grow in places where hair fell out. Follixin thickens hair, improves its overall condition and helps reduce the unsightly high forehead. Men from all over the world love the results. No problem. You can buy Follixin easily and without problems. We do not share nor sell our customers' personal information. All financial data is confidential and protected. This webpage is 100% trusted site and has been authenticated by online protection companies. We guarantee delivery in a specified time frame and a possibility to return the product. Placing an order is simple. Click! Choosing a product and a method to fight balding is obviously a difficult process. You can be unsure and have many doubts. On the right-hand side, you can find frequently asked questions which will definitely help you make the right decision which is Follixin. Follixin is a dietary supplement which contains vitamins and minerals. It helps control hair loss caused by vitamin deficiency. What are the results of using Follixin? Yes. Dermatologists and dietitians claim that vitamins B and C and minerals such as zinc maintain healthy and strong hair. These elements are necessary to avoid the problem of weak hair and hair loss. Are there any side effects of taking Follixin? There are no unwanted side effects of taking our product. Every man can take this supplement and enjoy the benefits it offers. The supplement should not be used by pregnant or breastfeeding women or children. The product is not gluten-free. Follixin works gradually that is why the results will be more and more visible with time. In some cases, the first results will be visible after only one month. The best results, however, are visible after six months of use. Do I need any special diet or exercise while taking Follixin? You do not have to change your diet while taking this supplement. You can eat and drink as normal. However, a balanced diet can help you achieve better results. Does Follixin guarantee permanent results? Or will the problem of hair loss come back after completing the treatment? 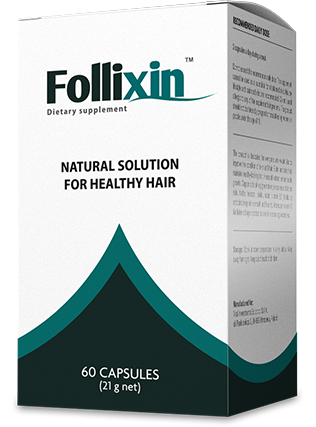 Follixin is a dietary supplement which contains vitamins and minerals necessary for maintaining healthy hair growth. That is why it can be taken continuously. Bad diet, inappropriate hair products, exposure to sun rays, pollution, headwear, stress, physical activities or many other factors can damage your hair. They may also trigger hair loss again. That is why we recommend including Follixin in your daily diet even after achieving the desired results. How many capsules a day do I need to take to improve the condition of my hair? Recommended daily dose is 2 capsules. In some cases to achieve better results quicker, we recommend a higher dose. Consult your dermatologist, endocrinologist or dietitian if you wish to increase your daily intake of Follixin. Every pack contains 60 capsules. 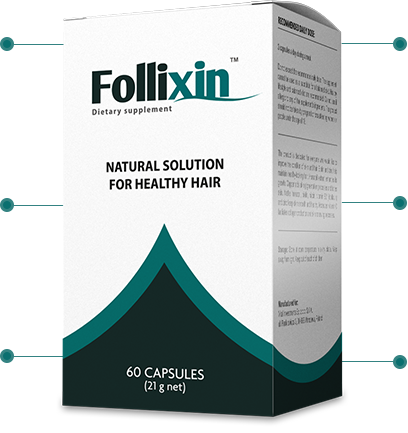 We are absolutely sure that Follixin prevents hair loss. That is why we offer a 90-day money back guarantee. If, after taking the supplement as directed, you are not satisfied with the achieved results, we will give you money back. No questions asked. in more than 20 countries in the world! As you probably know European consumers are very demanding. Follixin has turned out to be a huge success: thousands of happy customers trying different diets, biotypes and lifestyles, from over 20 countries in the world can confirm that. Taking Follixin is safe. The results have been confirmed. The product has been developed in compliance with strict European standards and it is appreciated by the most demanding customers. Follixin helps men around the world. If it helped others, it can help you, too! Zinc: strengthens hair and supports its growth. Horsetail extract: prevents dandruff and hair loss. Vitamin E: maintains healthy skin, hair and nails. We offer discounts with longer treatments. 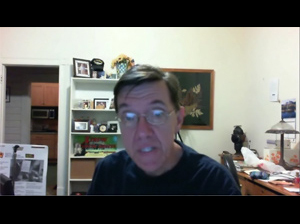 I want to receive free messages with current offers, news and tips.